P.O. BOX 113-90131, Tala, Kangundo, Kenya. 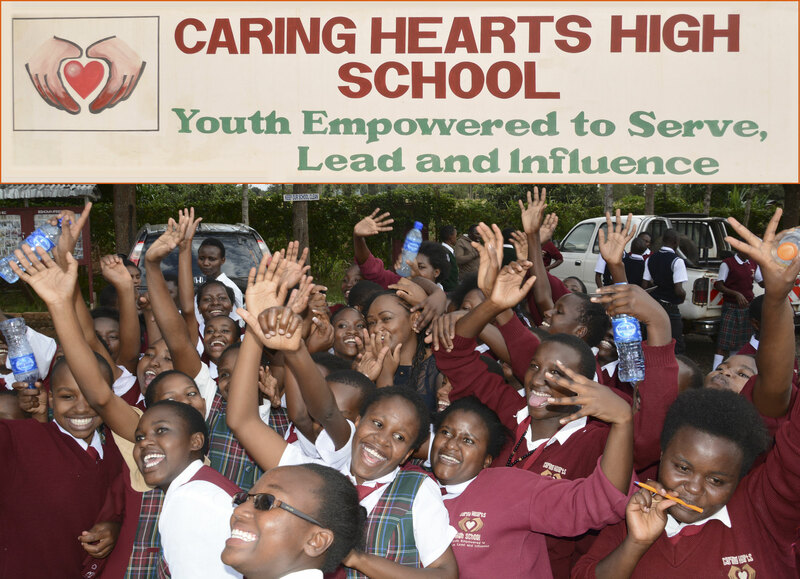 Caring Hearts High School (CHHS) was started by Dr. Vincent Muli Kituku, international motivational speaker and author, for high school girls to be equipped with the best academic and youth development programs in Kenya. Students are provided opportunities to grow spiritually, mentally and physically through active participation in numerous regional, national and international programs in academics, leadership and sports. It is in the spirit of the school’s Mission, "Youth Empowered to Serve, Lead and Influence," that CHHS students have outperformed others in regional academic contests, national music, dance and poetry festivals and are annual winners of multiple sports. They are not only taught by qualified teachers, but professionals who care deeply about the future of their students and go the extra mile to make their students' dreams a reality. The school has sponsored students from poverty stricken families and tuition paying students. ABOUT US: We offer an environment that is geared to optimal learning, community service, artistic and cultural experiences, life skills training and practical knowledge. Hard work in all aspects of individual growth. Integrity, honesty, fairness and leading by example. Service and self-sacrifice for others and the community. Commitment and dedication to duty and positive productivity. Excellence with uncompromising responsibility and accountability. Caring Hearts High School, although very young, has consistanly produced top scholars who are now in universities, pursuing degrees and diplomas that will benefit their families, Kenya and the whole world. The School is outperforming expectations and has become a regional powerhouse in academic contests and also in co-curricular activities. Admission to Caring Hearts High School is a rigorous process, is ensuring only the most vulnerable and academically deserving students are admitted. In addition to proof of lack of financial support from their family and/or community, an applicant must have earned 330 points in her class eight (8) national examination, Kenya Certificate of Primary Education (KCPE). Needy orphans, children from poverty-stricken single parent families, especially children of widows are given priority in our admission process. All applicants must have earned 330 points in their Kenya Certificate of Primary Education (KCPE) exams. Candidates seeking sponsorship must provide information about their family's financial constraints and home circumstances. The information provided must be verified by their regional representative who might rely on the principal of the applicant's previous school, local sub chief or spiritual leaders. 50% of Form I places are reserved for needy girls from severely disadvantaged family backgrounds. A total orphan: A student with no extended family that is able to pay for her high school education. A girl whose father is deceased or disabled, and whose mother and extended family have no means to assist her with tuition for high school education. A girl whose mother is deceased or disabled and whose father and extended family have no means to assist her with tuition for her high school education. A girl whose parents are still alive but extremely poor, with no reliable source of income to assist her with tuition for her high school education. Priority in admission is also given to girls who had repeated class 8 even though they had passing grades and those who have been languishing at home due to lack of school fees. Further, applicants from marginalized communities and those at risk are considered heavily. Tuition paying candidates have Caring Hearts High School as one of the choices in their selections of secondary schools. Tuition is guaranteed to remain the same until a student graduates from CHHS. Tap or roll your mouse over an image to enlarge it. Caring Heart High School is managed by a Board of competent educationists and holds an annual general meeting. CHHS partners with parents, teachers, the local community, Ministry of Education and relevant government bodies to prepare students for success at school and beyond. For additional information on Caring Hearts High School please click here to read our brochure. Location: Off Nguluni Market Center, Matungulu Sub-county, 60 Km from Nairobi City Center along Nairobi-Kangundo Road. There is a dispensary near the school and Kangundo Level 4 Hospital is only a few minutes away.